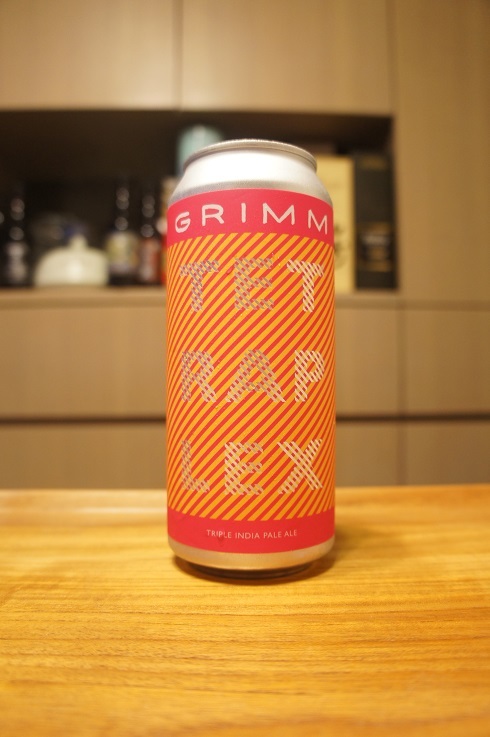 Brewer Description: (from website) Tetraplex is the amped up Tesseract! At 10% abv, this triple IPA is deceptively easy drinking with even more hops and flavor than Tesseract. It’s bio-hopped and double dry-hopped with mosaic cryo and is exploding with flavors of pineapple, mango, gummy peach rings, mandarin oranges, and melon. Intro: A 1 pint can, canned on 21st January 2019. Poured into a Lost Abbey teku glass. Appearance: A hazy golden colour with a two finger white head that had good retention and left lots of nice lacing. Aroma: Pineapple, mango, tea, mandarin, citrus rind, orange peel, grass and maybe a touch of pine. Taste: Bittersweet, peach, melon, pineapple, underripe mango, orange rind, slight onion and booze. Overall: I’m not a huge Triple IPA fan, but this was one of the better ones I’ve tried. Perhaps on the borderline of being too sweet for me, the balanced bitterness brought it back in line with my palate. Definitely worth a try. 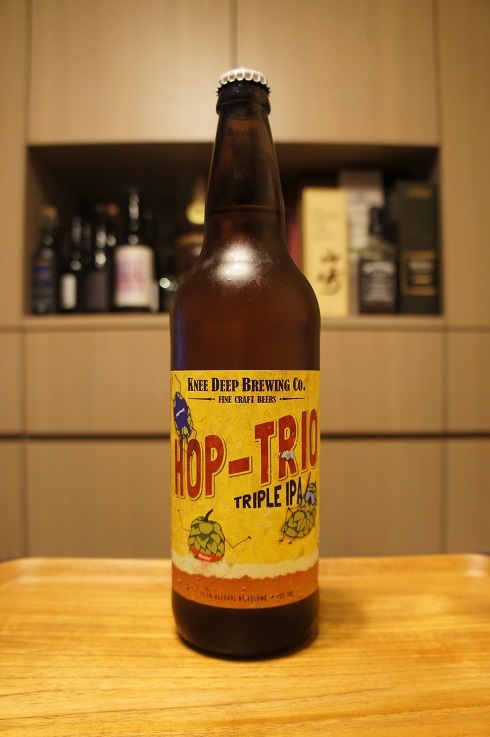 Brewer Description: (from website) Triple IPA brewed and dry hopped with large amounts of Citra, Mosaic and Amarillo hops that delivers exploding tropical fruit and citrus aromas and flavor. Intense hop aromas that are sure to stimulate your olfactory receptors. Intro: A 22 fl. oz. bomber, bottled on 23rd July 2018. Poured into a Lost Abbey teku glass. 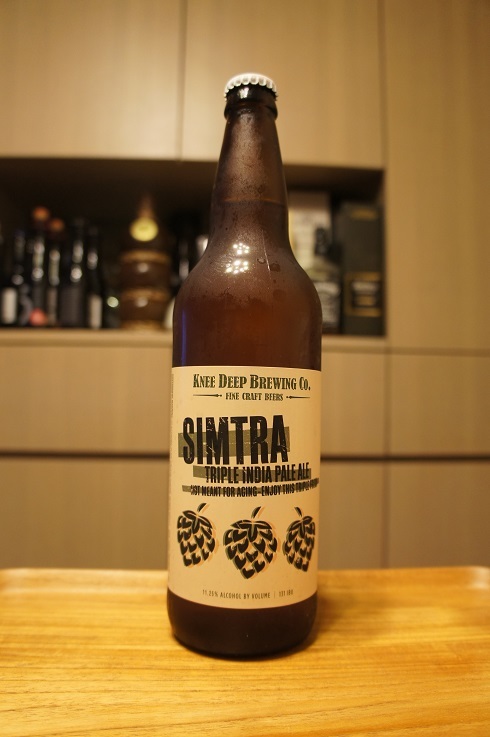 Brewer Description: (from website) Simtra Triple IPA delivers a punch in the face with its very danky hop aroma derived from Simcoe and Citra hops. You wanted more hops you got them. Intro: A 22 fl. oz. bomber, bottled on 13th July 2018. Poured into a Lost Abbey teku glass. Appearance: A clear golden orange colour with an almost three finger white head that had good retention and left lots of nice sticky lacing. Aroma: Citrusy, grapefruit zest, orange rind, pineapple, dank, pine and a very light floral. 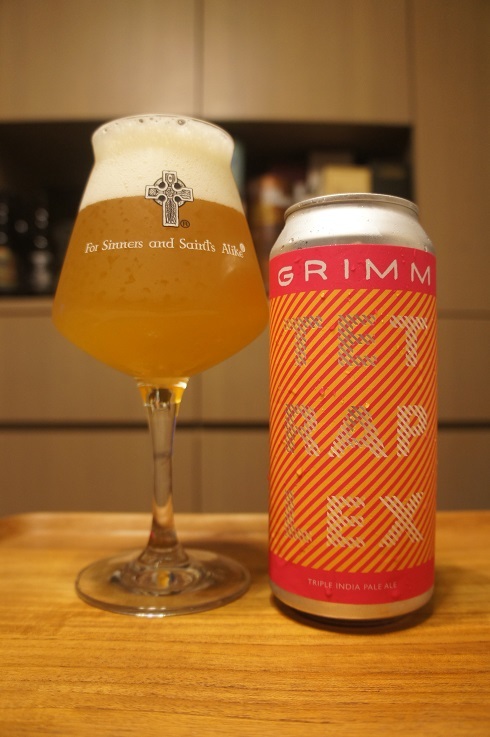 Taste: A mix of light sweet and bitter, dank, pine, citrus rind, grapefruit pith, a touch of alcohol followed by a lasting bitter finish. 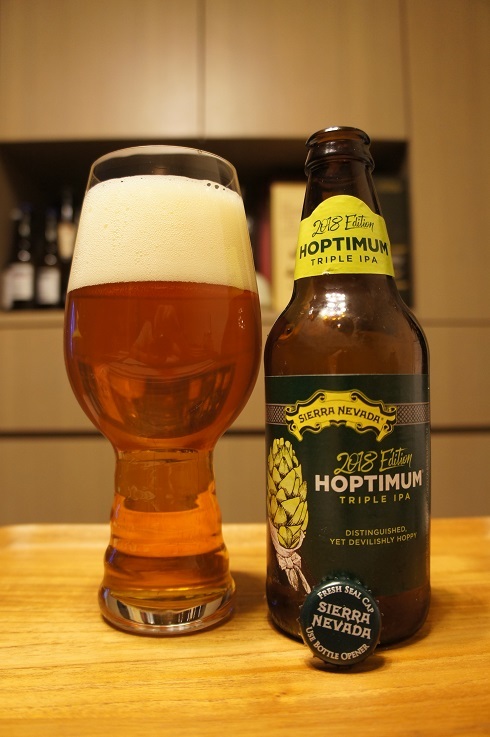 Overall: I’m not a huge fan of Triple IPAs, but this was not bad at all. Nice aromas were complimented with some good flavours, although the booze, which does creep in unsurprisingly, took it down a notch or two for me. Brewer Description: (from bottle) Every year, we try to top ourselves by making the hoppiest, most intense and most flavorful IPA we can muster. This year, we chose the most flavorful hops and pushed them beyond their limits in this all-new triple IPA. 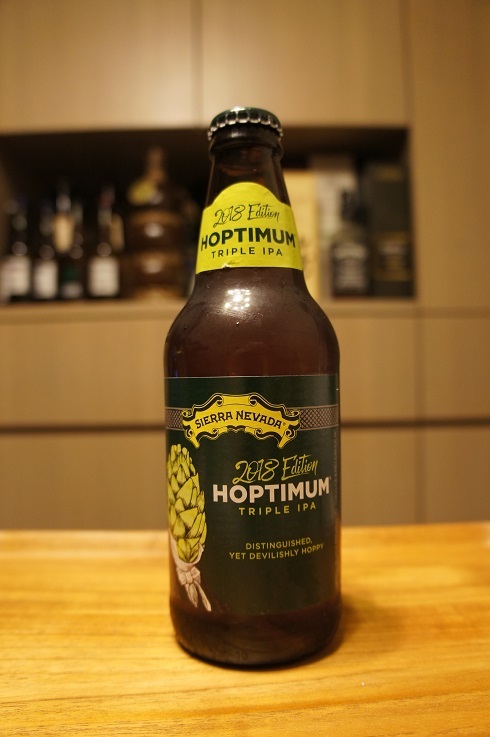 This reimagined Hoptimum is our hoppiest beer yet, providing a blend of tropical and citrus hop aroma that delivers a refined yet aggressive character. Intro: A 12 fl. oz. bottle, packaged on 18th May 2018. Poured into a Spiegelau IPA glass. Appearance: A very nice clear copper amber colour with a just over two finger off white head with great retention that left behind some nice lacing. Aroma: Pine, grapefruit rind, orange, lime zest and light caramel malt. Taste: Sweet caramel malt, bitter grapefruit, citrus rind, candied orange and a light booziness. Overall: Looks great with good aromas. Taste was also nice but it would’ve been even better if the light booziness could be hidden behind the pine or fruit. 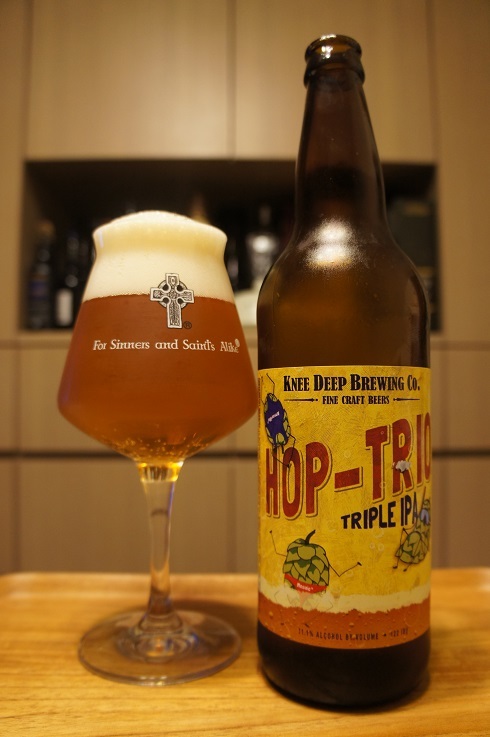 Having said that, it is a Triple IPA, so you do kind of expect it to be strong.